When a team member reaches a predefined level they break away from your team and you no longer receive any payout for that team member or anyone in the part of the matrix. But you will receive a monthly commission of the entire volume of the breakaway unit. 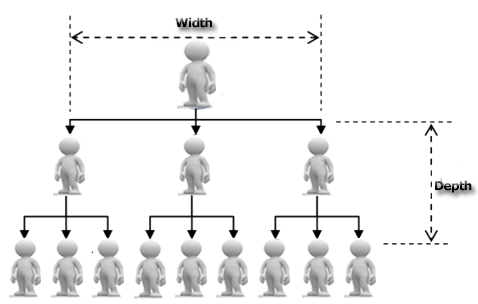 The name Breakaway plan is derived from the concept that members climb the ladder of success and when they reach a certain level they are allowed to break away from their up line members and run their organization independently. As members break away from their up line this allows them to earn a greater commission. Breakaway Plan has number of similarities with the unilevel plan that each member is only allowed to sponsor one level of representatives Where there is no limit to the width in which you can sponsor, the breakaway plan offers limited reason for teamwork within your organization and the competition between cross line members can make it difficult to recruit close friends and family into this structure.